Like natural teeth, dentures can accumulate plaque and food debris, particularly in areas where the denture is in contact with the remaining teeth and gum. In addition to the usual oral hygiene measures like tooth brushing, dentures should be cleaned regularly. Poor denture hygiene can result in stains on the denture and a bad odour. If possible, dentures should be removed and cleaned after every meal. • Use a soft hand brush or a special denture brush. • Avoid very hot water as it may distort the denture. • Use mild detergent to clean dentures. Avoid using abrasive cleaners that can roughen the polished surface of the denture. Do not use bleach as this may whiten the pink acrylic. • Hold the denture firmly while cleaning. 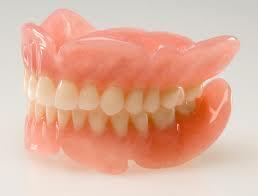 Accidentally dropping the denture may result in chipped or broken dentures. Always wash your denture over a basin of water. • Soak the dentures in denture cleanser once a week to remove stains and always rinse them thoroughly before using the dentures again. • When you are not wearing the dentures, store them in water. Dentures may lose their shape if left to dry out. Your jawbones and gums naturally shrink over time and this can cause the dentures to fit less securely. Ill-fitting dentures can give rise to chewing difficulties, soreness, infections and changes in facial support.  It is important that you visit your dentist to have your dentures and oral tissues evaluated yearly. Your dentures may need to be adjusted, relieved or even relined from time to time to ensure an optimal fit. 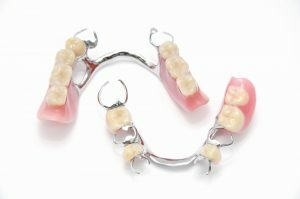 Do not attempt to adjust the denture yourself – seek professional help.